The Motherpeace Tarot cards were co-created in the late 1970s as a feminist revisioning of tarot and esoteric science. Designed by Vicki Noble and Karen Vogel, the contemporary Motherpeace images were self-published in 1981 and have attained worldwide distribution since then (printed and distributed by US Games Systems, Inc.). The round feminist cards function as a shared symbolic language among women (and some men) in various countries around the world, regardless of diverse languages, cultures, and borders. Embedded within the symbolic language of Motherpeace are the paradigms of matriarchal and ethnic studies, shamanism, yoga, and paganism, as well as the core principles of western occult and esoteric studies. The Motherpeace images contain, in a fresh stylized form resembling 'folk art' reproductions of artifacts, images, and knowledge from the disciplines of archaeology, anthropology, history, and art. Besides containing a wealth of information and scholarly research, the Motherpeace cards are congruent with other tarot decks and function as a powerful oracle for use individually or in groups. This workshop is designed for participants to learn the symbols and meanings of the images contained in the tarot cards, and to be able to effectively use them as a feminist divinatory tool—but in a sacred, friendly, and playful format without arcane language or concepts. A seasoned workshop leader Vicki intuitively incorporates ceremony, rituals and chanting, offering embodied experiences alongside the esoteric wisdom of the tarot. This workshop is a for women only. Vicki Noble is an artist, healer, and independent scholar, a foremother of the Goddess movement in the U.S., including two decades as a professor in Women’s Spirituality graduate programs in the Bay Area. She is co-creator of Motherpeace Tarot (1981), whose images were recently licensed by Christian Dior by the new feminist artistic director for their 2017 Cruise Line. 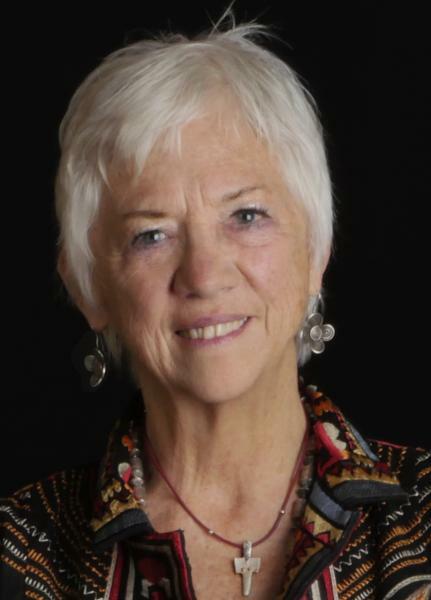 Vicki is the author of numerous books, including three texts to accompany the Motherpeace cards, plus Shakti Woman: Feeling Our Fire, Healing Our World (1991) and The Double Goddess: Women Sharing Power (2003); her books are published in Spanish, Italian, Portuguese, German, and French. She has traveled and taught internationally for three decades.